A wine castle in the Dordogne? Or, maybe, an old stone farmhouse in the South of France? Our mission is Extraordinary art courses in Out-of-the-ordinary settings… And we have two decades of experience in running painting holidays. As recommended by Time Out London and France Magazine. We chose our venues with care so they suit your needs as an artist. You’ll discover a wealth of subject matter within easy walking distance, so you won’t be herded into a mini-bus. Here you can explore the sights & colours. Relish an authentic experience of ‘La France Profonde.’ Find unspoiled landscapes off-the-beaten path. But it’s not all hard work… Enjoy the relaxed holiday atmosphere & friendly hospitality whilst we take care of you. And with a professional french chef, ‘la table est bonne’! So if you’re looking for a residential painting holiday, why not join in the fun with other like-minded painters? 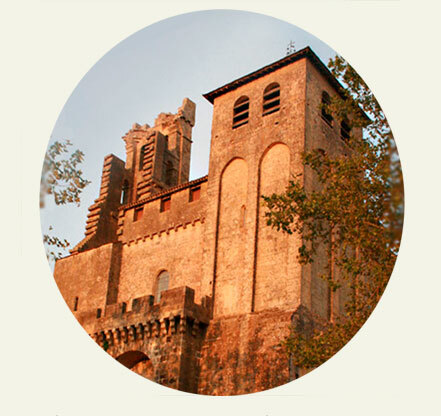 A fortified medieval abbey set in an authentic, pretty French village in the unspoiled Dordogne. Three Star Hotel listed in the Michelin Guide. 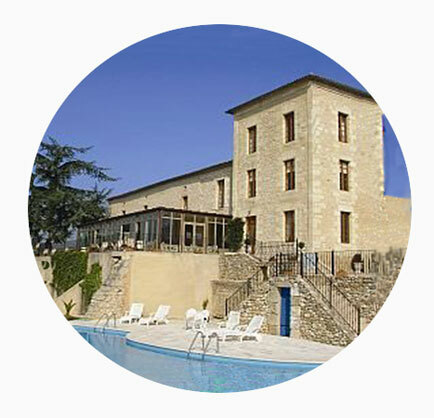 An old stone demeure in peaceful wine country near St. Emillion in the lower Dordogne. Stunning views of rolling hills, vines, woods & fields. Now a comfortable friendly hotel with its elegant restaurant and inspired chef. Suitable for those seeking a high standard of comfort & hospitality. We offer a cooking course for non-painting partners. 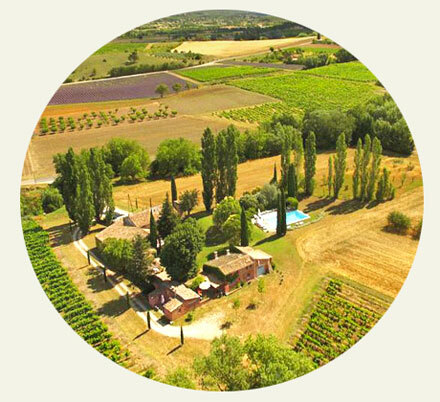 A character Provençal farmhouse nestled in the vines, cypresses & lavender fields. & the world becomes more beautiful in your eyes. * Learn how to paint in watercolour, oils, alkyds & acrylics. Paint ‘en plein air’ in the warm southern light. Or, if you want, try some studio painting, flowers or semi-abstract landscapes. * Take time for your own painting in this artists’ retreat. Recharge your creative batteries. Make your own personal discoveries. You can paint all day if you like! * Get feedback from a professional painter who is also a qualified teacher. Learn techniques. See demonstrations. Easy to understand tuition that ensures you make real progress. Opt in or opt out, as you like. * A warm welcome to all adults, all abilities and all levels. 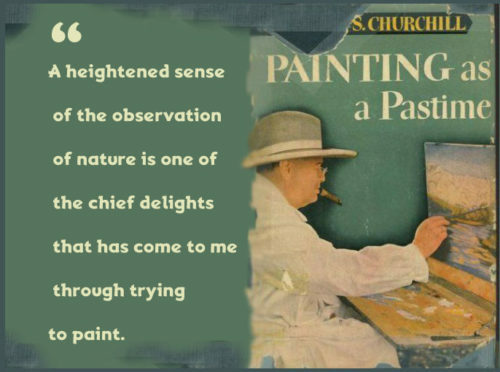 From absolute beginners to those looking for an advanced level painting course. * You learn best in a friendly, stimulating atmosphere. Sometimes there’s laughter; sometimes there’s the silence of deep concentration. * Meet people from all over the world (yes, it’s a real compliment that students travel so far to get to us). Painters have always sought friendly exchange with other painters. This gives you a golden opportunity to share this strange passion. Adam Cope paints in watercolour & oils. 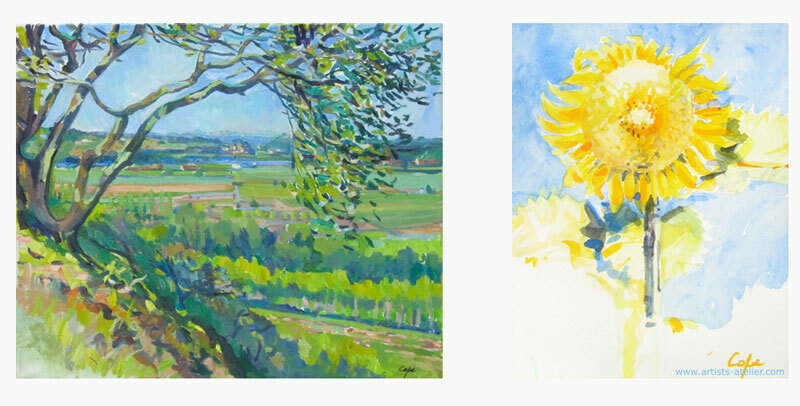 He has lived & painted in the Dordogne for over twenty years. Intimate with the local colours, the little secret corners & the stories that belong, he’ll share his insider knowledge with you. He enjoys the good life in the warm hearted South West of France. A convivial teacher, Adam believes that painting holidays should be great fun. He also likes to listen to his students & help with their learning. When choosing a painting course, it’s important that you chose a teacher whose paintings you like. At last I’m getting around to say thank you so much for a wonderful week. I really enjoyed every element of the course and learned so much from yourself and also our fellow artists. The setting, the teaching, the weather, the food and the company was first class. You have developed a great course with all the right accessories which add to the experience. You are a good teacher Adam and that is so important.